Hair loss is a problem that millions of people deal with as they age. The truth is that hair loss is actually part of the normal hair growth process. However, understanding when hair loss is normal or when a person has entered a phase of pattern baldness is key to determining when to consider hair loss treatment options, such as hair transplant surgery. At True & Dorin Medical Group, our doctors understand the normal hair growth process and can advise our New York, NY patients on when surgical intervention may be necessary to restore thickness to the hairline. Here, we go over the three phases of the hair growth process. The anagen phase is a stage of active hair growth. During this time, the cells in the root of the hair divide rapidly. As new hair shafts are formed, they emerge from the scalp and push out “club” hair, which are hair follicles that have already stopped growing. On average, a hair can grow .3 to .4 mm per day during the anagen phase, which amounts to roughly six inches per year. 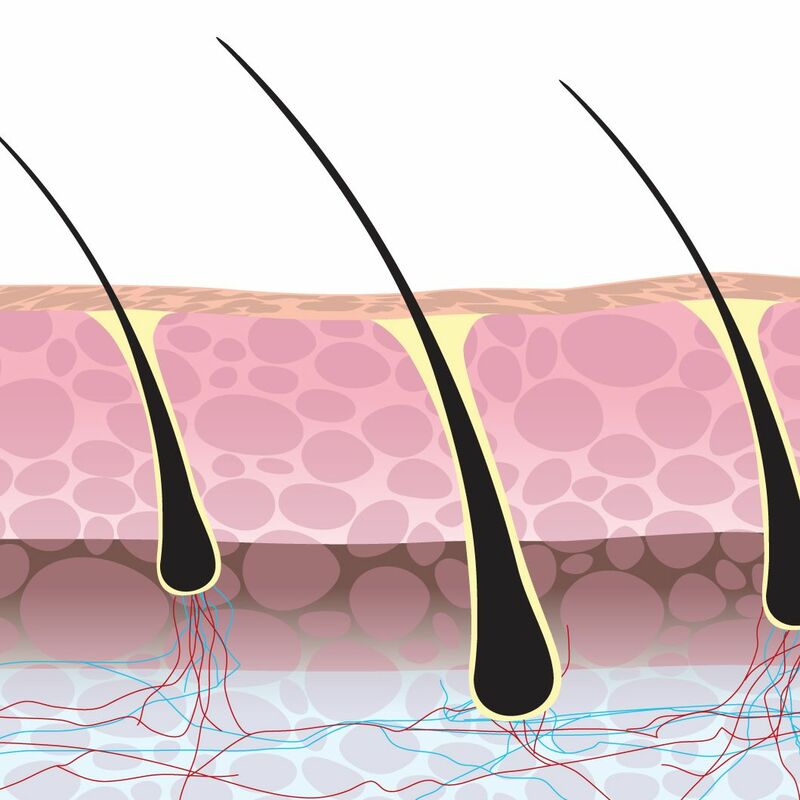 A hair follicle typically remains in the anagen phase of hair growth for between three and five years (though some hair follicles stay in this active stage of growth for up to seven years). On average, a hair follicle grows around 18 inches during the anagen phase, but this does vary from person to person. Those with naturally long hair have longer phases of active growth, while those who have a difficult time getting their long are in the anagen phase for a shorter amount of time. Hair follicles are in the catagen stage of hair growth for the shortest amount of time. The catagen phase typically lasts just a week or two. This is more of a transitional period for the hair follicles. During this stage, hair follicles stop growing and the outer root sheath of the hair follicles shrink. This is the stage of growth where “club” hairs begin to form. While the telogen phase is a natural part of the hair growth process, it is actually a time of rest, rather than of growth. This stage of rest usually lasts around 100 days, or for a few months. This period completes the formation of club hairs. No new growth occurs during this phase. Instead, hair that has stopped growing is released from the scalp. This accounts for the normal shedding that a person may notice each day. Since less than 10 percent of hair follicles should be in the telogen phase at any given time, it is natural for a person to lose between 25 and 100 hairs each day. Hair follicles go through the stages of growth on their own time frame, so that a person always has a certain number of hairs in each stage of the growth process. This prevents hair loss from being excessive and ensures that the hairline is always full. However, as a person ages, the anagen phase may become shorter, while the telogen phase becomes longer, which is what accounts for pattern baldness. When this pattern begins, it is time to consider hair loss treatment. If you have more questions about the normal hair growth process, or are interested in finding out about the hair loss treatments offered at True & Dorin Medical Group, contact us at your earliest convenience. You can set up a personal consultation with one of our experienced doctors by calling (866) 629-0866.